John Kromer specializes in the design and implementation of reinvestment strategies for metropolitan-area communities. As the City of Philadelphia’s Director of Housing from 1992 to 2001, John supervised the expenditure of more than a billion dollars in public investment in support of housing preservation and development activities that improved living conditions for thousands of Philadelphia families. 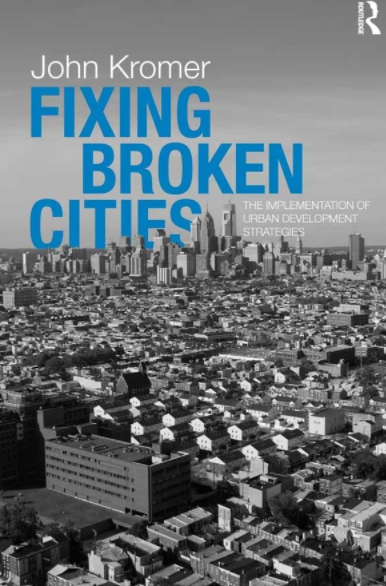 The perspective gained through this experience is described in his most recent book, Fixing Broken Cities: The Implementation of Urban Development Strategies. Since 2001, John has maintained an affiliation with the University of Pennsylvania’s Fels Institute of Government as a Senior Consultant. Through his consulting practice, John has assisted elected officials, government agencies, philanthropic foundations, nonprofit organizations, and institutions in completing strategic planning, policy development, organizational capacity-building, and implementation plans designed to revitalize urban downtowns and neighborhoods View list of clients. At Penn, he teaches a semester course on “The Politics of Housing and Urban Development” to a class that includes students enrolled in the University’s Government, City and Regional Planning, and Urban Studies programs.